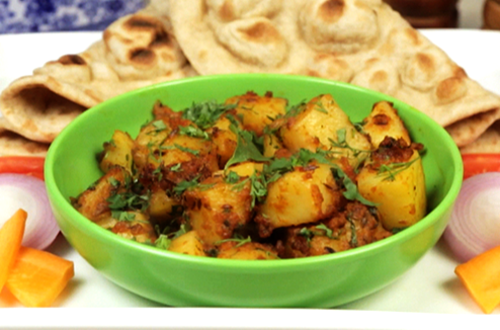 Evenly chopped potatoes with a pinch of jeera. An easy to make dish with added flavours of our spices. 1 Heat oil in a pan on a medium high heat. 3 Lower the flame, add red chilli powder, turmeric powder, green chillies and stir for few seconds. 4 Add boiled potatoes and Knorr Chef’s Royal Vegetable Masala. 6 Garnish with chopped coriander and drizzle lemon juice. 7 Close the lid and turn of the heat.